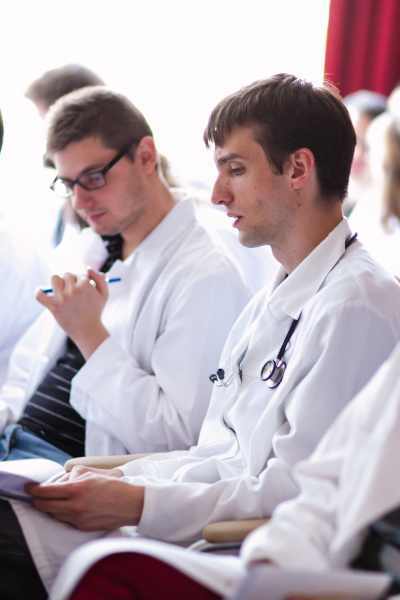 The specialist training of doctors, dentists, pharmacists, and clinical psychologists takes place in a decentralised manner, attached to the four Hungarian medical schools, and in accordance with the resident training system which has been in force since 1999. 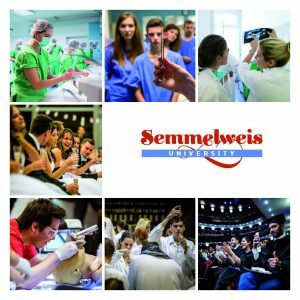 At Semmelweis University three faculties are involved in specialist training: the Faculty of Dentistry, the Faculty of Medicine, and the Faculty of Pharmacy. Training can only take place at an accredited specialist training centre; accreditation is granted by the universities, based upon criteria detailed in Governmental Regulation 122/2009 (VI. 12.). The number of available places is determined by the Ministry of Human Capacities on an annual basis with due regard to regional needs. Applicants are ranked according to points, which are comprised of the following: average of the comprehensive examination results and the exam results of specific profession-specific subjects (as semester points), the various scientific and language examination achievements (as additional points), and the points determined over the course of the personal interview. The University may repeat its call for applications to fill the unfilled positions. A fee-paying option is available for all specialisations, the cost of which is determined by the given university. The links below provide additional information regarding the specialist training programmes offered by the faculties of Dentistry, Medicine, and Pharmacy.